RBI's five forward looking surveys have been released for the current quarter and the results are as expected. Most households expect Inflation to further rise in the coming months; more so if one year forward is considered. From the perspectives of the consumer, inflation is the biggest worry. Consumer Confidence Index, which measures the overall consumer sentiment in the current as well as future circumstance. While the Future Expectation Index (FEI), which measures future scenario continues to be in the positive (denoting positive sentiment), the Current Expectation Index (CEI) remains in the negative zone. Even though there has been some minute improvement, the sentiment regarding the current situation remains unsatisfactory for the consumers. The CEI is driven down by lower expectations from the economic situation (slowing growth), lower employment opportunities and rising prices (inflation). Meanwhile, consumption demand and income growth remained healthy. The FEI has only one barnacle in higher inflation expectations. 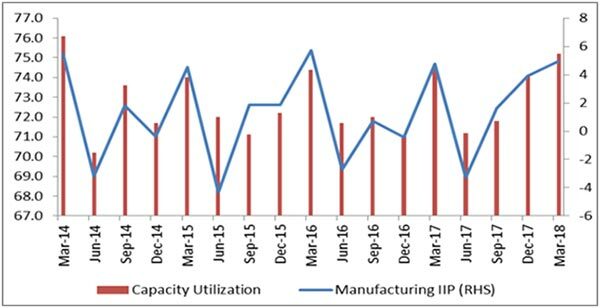 As per the OBICUS survey, Capacity Utilization (CU) levels have been improving and currently at a two year high of 75.2% in Q4 2018 – primarily driven by a healthy IIP growth. 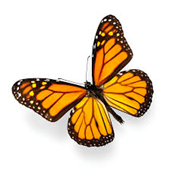 Given strong consumption, as noted earlier, systemic inventories continue to be strong. In the concerned quarter, Finished Goods Inventories to Sales ratio remained stable at around the 15 level. Commiserating this development, Raw Material to Sales ratio also remained at the 23 level. Pending (average) orders however declined by about -10%(QoQ) – we reckon it to be influenced by unsold inventories and changes/uncertainty in Government policy. In line with the consumer sentiment, businesses are too factoring in rising prices (inflation), with the Business Expectation Index (BEI) slightly declining for Q2 FY19. Expected increases in Input Cost is therefore a point worth pondering as it is critical to business profitability and sustainability. Financing is another short coming making businesses insecure about their future plans and limiting their capex plans. Availability of Financing is considered to be an important variable here and we believe that this will further deteriorate given rising interest rates. Since consumption will drive higher capacity utilization levels as well as strong consumption demand growth, working capital requirements are also expected to rise. However, the rising interest rates will make this expensive, eating into business margins.